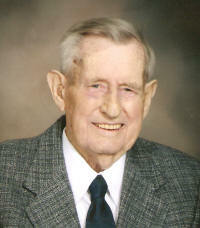 Joe B. Alberternst, 83, of Trenton, died Friday, October 17, 2008 at Barnes-Jewish Hospital in St. Louis. Mr. Alberternst was born December 13, 1924 in Trenton, IL to Elizabeth (Henrichs) and Joseph B. Alberternst, Sr.; they preceded him in death. He married Luetta Seefeldt on June 1, 1957 at St. Mary Church in Trenton; she preceded him in death on June 20, 2003. Also preceded in death by a brother, Elmer Alberternst; sisters, Irene Crepps, Stella Korte, Evelyn Shoup, and Mary Grimes-Tate; sisters-in-law Elvera Deimeke, Margaret Deimeke-Roth, and Mildred Goeden and brothers-in-law, William Crepps, Ray Korte, Ed Shoup, Charles Grimes, John Tate, Joe Trost, Cecil Lewis, Clifford Goeden, George Deimeke, Ben Deimeke, Burnell Voltrain, Dominic Roth and Al Isler. Surviving are his children, Judith Ann Alberternst and Richard (fiancée Lisa Whitaker) Alberternst all of Trenton. Sisters, Eleanor Trost of New Baden and Lucille Lewis of Trenton, and a sister-in-law, Martha Isler of Trenton. Joe worked for Dixie Feed Mill and retired as a bus driver and custodian from Wesclin Community School District 3. He was a member of St. Mary Church in Trenton. Funeral Mass of Christian Burial will be Tuesday, October 21, 2008 at 10:00 am at St. Mary Catholic Church in Trenton with Fr. Eugene Kreher officiating. Interment will follow in St. Mary Cemetery, Trenton. Visitation will be Monday, October 20, 2008 from 4:00-9:00 PM and again on Tuesday, October 21, 2008 from 8:00-9:45 AM at the Moss Funeral Home in Trenton.